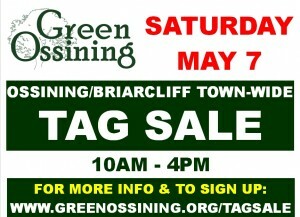 NEXT COMMUNITY-WIDE TAG SALE IS MAY 7th! REGISTRATION CLOSES ON APRIL 27th!! 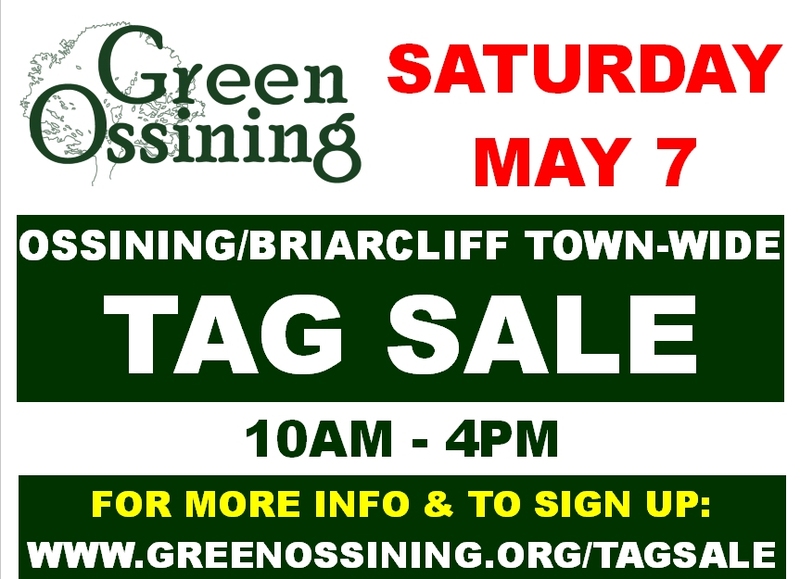 The next Green Ossining Community-Wide Tag Sale is coming up on May 7th. Time to do some spring cleaning perhaps? Great way to recycle unwanted items and make a little cash for yourself. IF you are TAG SALE shopping…we’ll be posting the Google map ahead so you can strategize about the locations you want to stop by. The Google Map will include the location of the Tag Sale, as well as a list of some of the items for sale. Best is to go to the dedicated Facebook page where Tag Sale sellers will be promo-ing their items. NOTE: no transactions (verbal or otherwise), should happen except in person on the 7th.